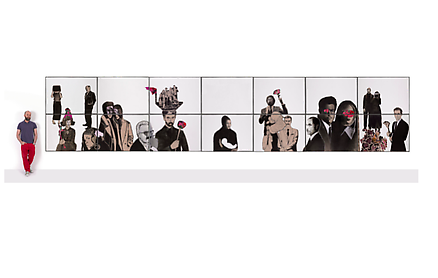 Khaled Takreti will be exhibiting in Songs of Loss and Songs of Love on view at the Gwangju Museum of Art, South Korea. This exhibition is curated by Sam Bardaouil and Till Fellrath around the premise of creating alternate history, in particular artists respond to a fictional encounter between legendary singers, Egypt’s Oum Kulthum and South Korea’s Lee-Nan Young in 1967 in Paris. Other participating artists from the region include Ghada Amer, Shirin Neshat, Joana Hadjithomas and Khalil Joreige.